I went on a field trip today. To the Memelakha landfill. 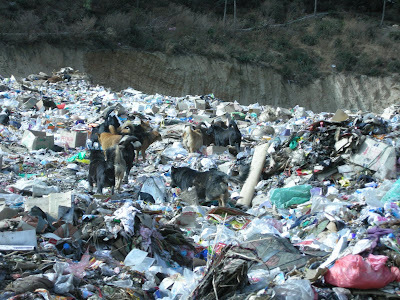 That’s where our garbage ends up everyday. 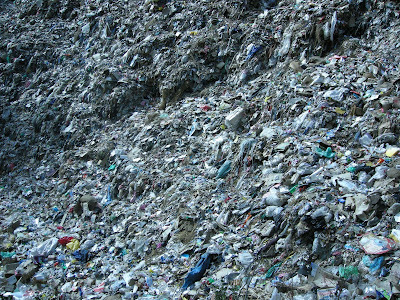 The landfill was built in 1992 and was designed to last for 10 years. But the actual landfill lasted only for 6 years. 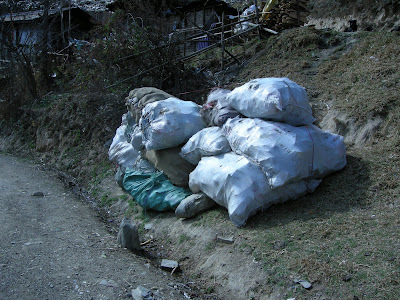 Since then the area has been used as a dumping ground. It continues to be used as such. 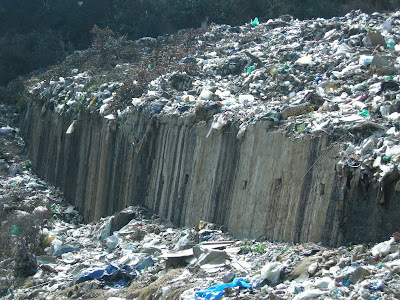 The landfill should have been lined with layers of concrete, plastic and concrete to prevent leakage. It wasn’t. 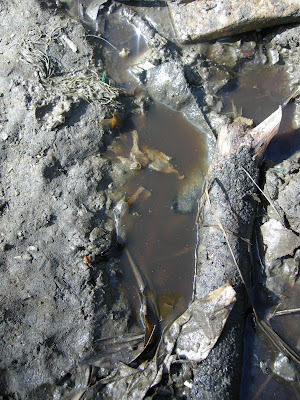 So potentially toxic liquid seeps out of the walls and flows into a stream, which ends up in our river. 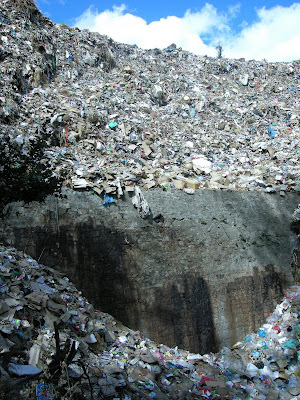 As soon as the landfill reached its capacity, it should have been sealed with several layers of concrete and plastic. It wasn’t. 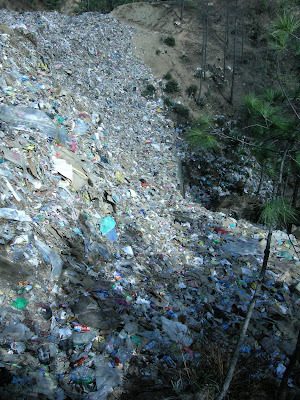 Instead, during the last 10 years since the landfill reached its capacity, even more garbage has been dumped on the landfill. 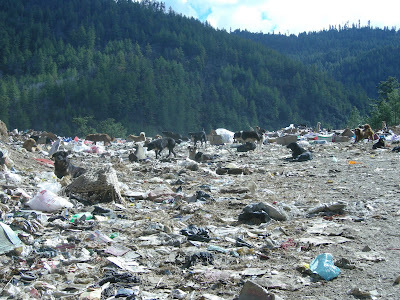 The area has now turned into such a big dumping ground that it’s difficult to spot the original landfill. 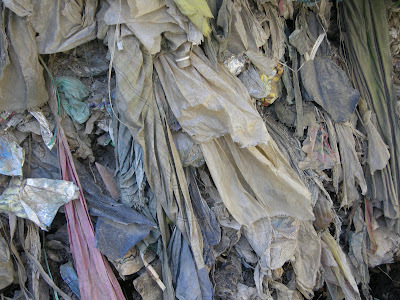 Pipes should have been inserted into the landfill to release methane that rotting garbage generates. They weren’t. So the landfill is potentially explosive. I was ashamed by what I saw. 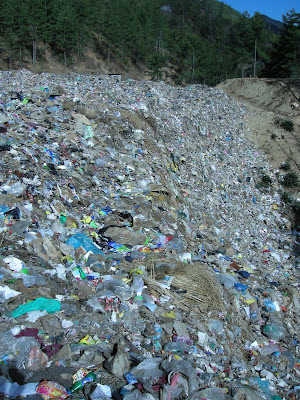 We produce a lot of garbage, some 40 tonnes everyday. 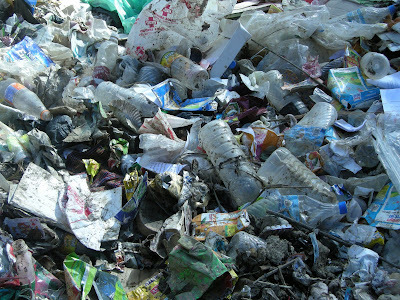 But most of it is actually recyclable – plastics, paper and PET bottles. 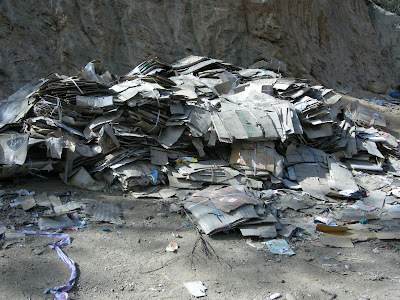 The problem is we don’t recycle. That’s the shame. 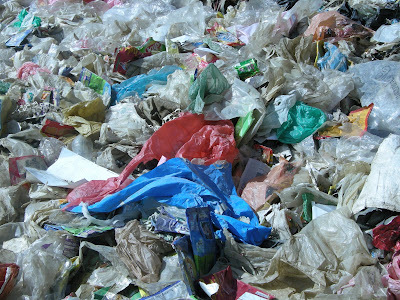 And the garbage keeps piling. The wall marked the designed capacity of the original landfill. What’s above the wall is what is now a dumping ground.